It’s that wonderful time of year again. Camping season! 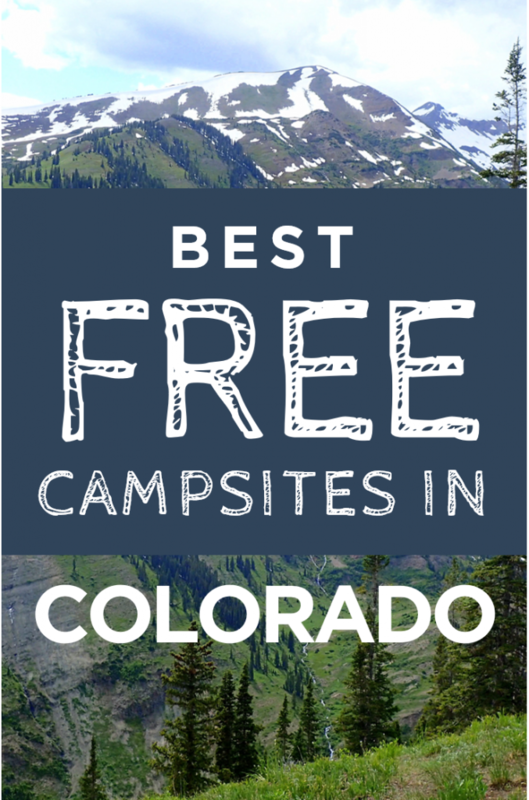 What better way to celebrate than checking out the best free campsites in Colorado? If you are like me, you count down the days until you can get away, breath the fresh air, and immerse yourself in nature. Personally, I enjoy every minute of camping. Nothing beats waking up to the sunshine, smelling the camp fire smoke in my clothes, and feeling the crisp chill in the air, even despite the lack of sleep I may have just gotten. The only thing I don’t like about camping is when I get stuck with fees or am surrounded by crowds. I go camping to get away from people (besides whomever I have taken with me of course) and I am not about spending a lot of money to sleep outside. As a kid living in Los Angeles, camping options are shockingly expensive. That’s LA for you. While I would still go, camping simply wasn’t as much of a thing for me as it is now. After moving to Utah, I learned about the wonders of camping in BLM land and I was forever convinced. On top of that, my fiancé Robb is quite the camper himself and what better ways to bond than uninterrupted nights under the stars? Since we live in Denver, we tend to spend most weekends out in the wilderness. But due to my work schedule, I mostly could go on the weekends. Between that and living near the city, it is a bit harder to find the perfect spot. We both like to stay up fairly late so we often try to find places that we can be loud into the morning without bothering anyone near us. We also generally like to car camp which makes it harder to find a good spot. Of course we could backpack, but at times we like to have the luxury of the car. To be honest, I’m kind of a glamper and those luxuries are hard to carry in a backpack. So with that in mind, we went out to find great options that we love. Here is what we found. 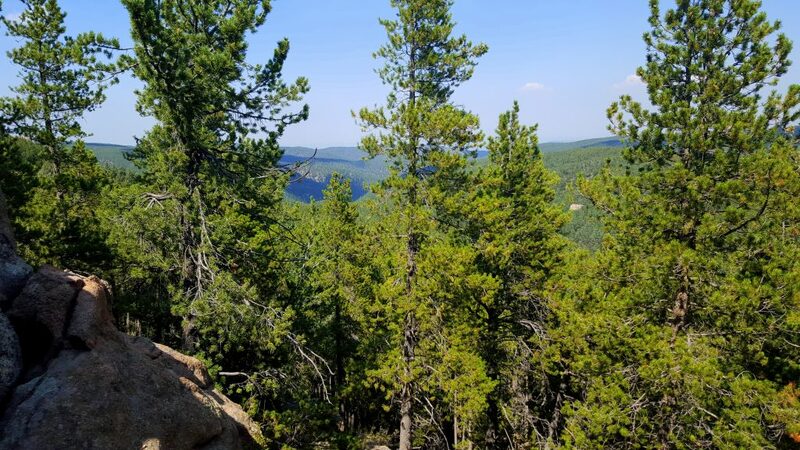 While this spot is within a couple hours of Denver and Colorado Springs, there are several wonderful sites along this road with plenty of space for you and your entire crew. Funny enough, we found this spot when we first moved to Denver and got kicked out of a spot by a park ranger. I know, I know, I usually don’t do that but my friends thought it was a good idea despite it obviously being a spot with high flash flooding risks. It was the Fourth of July so we got desperate. Instead of getting in trouble, the ranger took us up Rampart Range Road where we found this beautiful site to fit our crew of 30 people. Yes, it easily fit 30 people. Not only was it huge, there was also plenty of space between us and the next campsites. We were definitely able to party throughout the night without being rude to our neighbors. Another added bonus is that these spots are equipped with bathrooms throughout the road to make your camping experience a little nicer for those who don’t want to go in nature. When getting here, I recommend driving past all of the early spots since those are usually taken by people with dirt bikes and motor homes. Drive all the way up to Devil’s Tower trail head and turn right. That is where the spectacular sites are. This spot is my favorite to go early season or late season because the weather is fairly moderate compared to the higher peaks. Plus, it is absolutely jaw-droppingly beautiful in September with the colors changing. Located near Fort Collins, this location generally has nice weather for early spring or late fall camping. I actually got engaged here last April so it has a special place in my heart. What you do is drive up to Poudre Canyon Rd and go up the road for a little ways. You’ll pass several small towns down this scenic road filled with several paid campsites. They are ok but if you keep driving for half an hour or so you will eventually hit a dirt forest road on the left. There is a CSU mountain camping sign marking the turn and you will cross a bridge over the river. Once you drive up, there are several beautiful sites within five minutes of the turn. There are probably about 10 spots easy throughout this area. While there will probably be other campers, it is definitely better than camping at the river itself. This spot is a bit farther away but Steamboat Springs is pretty cool and I recommend checking it out. Plus, you can hit Strawberry Hot Springs for a great after camping soak. 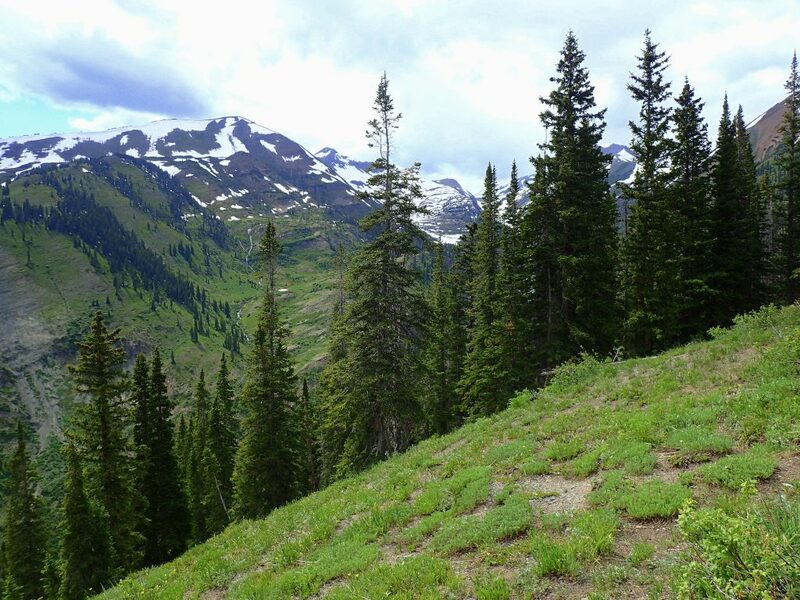 Buffalo Pass is one you’ll want to save for later in the summer season. 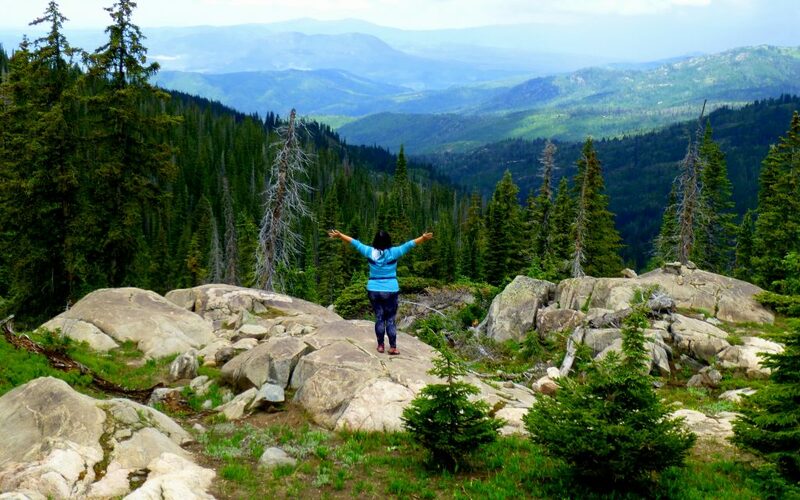 Steamboat Springs is a ski town, and well, there is snow on the mountains for a lot of the spring. However, the drive up this pass is quite a looker and there are several spots to pitch your tent and take it all in. When you’re in Steamboat, head over to Strawberry Park Road and turn right onto Colorado Rd 38. Basically, that will take you all the way up the pass until you find a spot. There are plenty of signs to get to Buffalo Pass so you’ll be able to find it easily. Just pay attention to where you can camp or not. No one wants someone camping at their private property. Much like Steamboat, this is a location that you can only visit in later summer since it is near a ski resort. Basically you will drive from Salida headed towards Gunnison on Monach Pass. From there, there are a few turn offs that you can find camping spots. I know that Old Monarch Rd has some spots but we checked out this turn off right before the small town of Sargent. It was filled with these beautiful Aspens and we were basically alone in the whole area. Given that this was the afternoon of Fourth of July, this was a big deal. Since this spot is a bit far from Denver, we were able to get away from the Front Range crowds while still car camping. This is hands down my favorite spot to camp of all times. It is absolutely amazing. It’s kind of far from Denver but totally worth every minute of the drive. 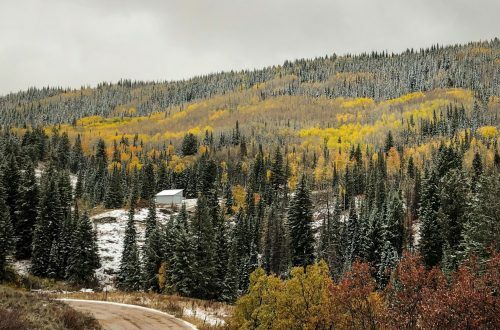 This is also only accessible in the late season since Crested Butte is a ski town. 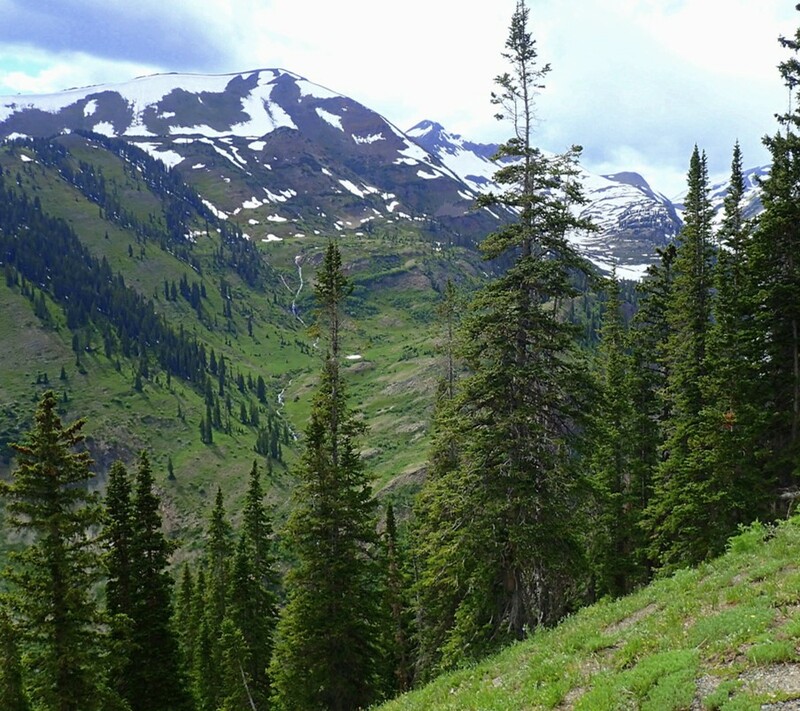 Located in the beautiful town of Crested Butte, Washington Gulch offers jaw dropping mountain views, unbelievable wildflowers, and stunning waterfalls. 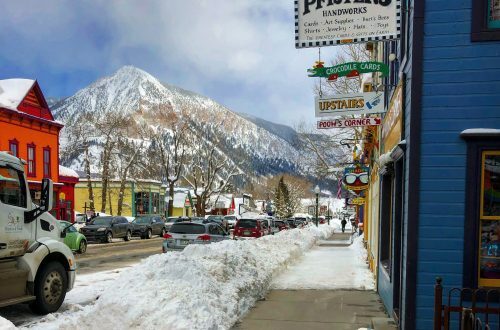 Basically, I want my eternal soul to rest in Crested Butte. We visited over Fourth of July weekend and while it was a week or so before the wildflower peak, it certainly did not disappoint. Late July, the town of Crested Butte even hosts a festival to honor the flowers. I mean, it was as if I was frolicking through a fairy dreamland. To get there, you’ll turn onto Washington Gulch Road and get ready to be mesmerized. To put it this way, I would have been satisfied if we didn’t find a spot since the drive was absolutely stunning and worth it even if we had to turn back. When driving there, don’t settle for the spots near the bottom. They are gorgeous and surrounded by wildflowers so it may be tempting. However, once you get closer to the top and pass this trailhead (and the private property signs) you will see this amazing overlook with some of the most enchanting peaks I’ve ever seen (and I lived in Salt Lake City so I know all about pretty peaks). We literally had to jump out of the car and take pictures. So there we go. 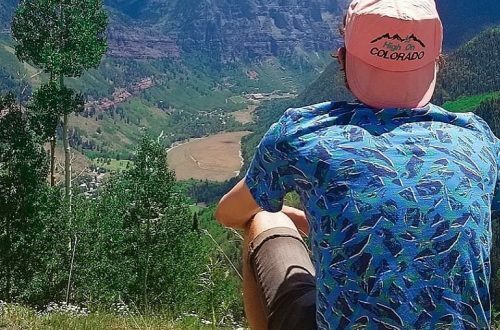 Here are my favorite free spots to camp in Colorado. I know there are several more places to explore but I won’t to recommend places unless I have been there. 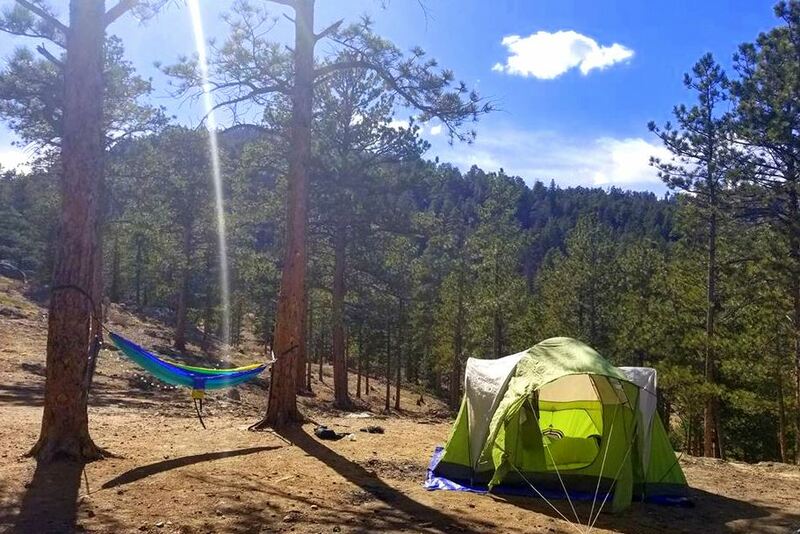 What is your favorite free campsite in Colorado? I would love to check out any great spots you have been to. We love to camp at Silverjack Reservoir off of Hwy 50 between Gunnison and Montrose. 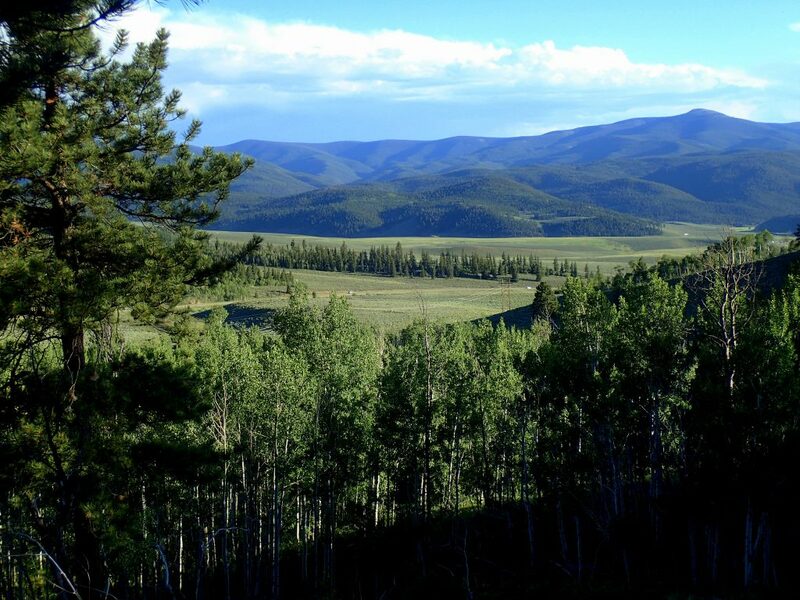 Just to the east of the Black Canyon of the Gunnison National Park, take the Cimarron Road south 21 miles until you enter the National Forest. There is paid camping, but if you continue a couple of miles past the lake, you will see plenty of campsites. 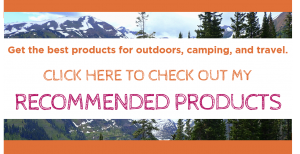 Perfect for RV camping as well as tents. The East Fork Trailhead leads 14 miles to the base of 14er Uncompahgre Peak if you’re up for adventure. There is good fishing, great hiking, and eye-popping scenery. Thank you Leslie for the great tip! I’ve recently checked out Black Canyon for the first time over the Fourth of July this year and it blew me away. I camped over in Hartman Rocks Recrational Area and it was a ton of fun. We even got to see fireworks from Gunnison (although we obviously had no fire due to the bans). Your spot sounds pretty awesome though! That national park and the area surrounding it is just so beautiful and I would love to go back soon.